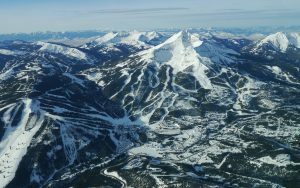 When Is The Best Time To Ski In Big Sky? 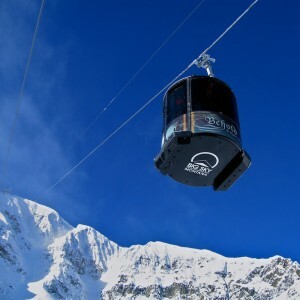 Planning a ski trip to Big Sky, Montana? One of the most common questions we hear is "When Is The Best Time To Ski In Big Sky?" Were you wondering the same thing? Let's see if we can help you figure it out. Any day in the mountains is better than a day at the office. Regardless of what conditions and weather you find on a ski trip, you're going to have a good time in Big Sky, Montana. Whether you plan to alpine ski at Big Sky Resort or cross country ski at Lone Mountain Ranch, every day is a good day in Big Sky Country. If you're looking for terrain that spans from grandparent approved cruisers to big mountain adventure skiing and everything in between, Big Sky is the spot for you. With huge vertical, massive acreage, over 400+ inches of snow per year, and 5800 acres of terrain, there are no bad days in Big Sky. This place is called the Biggest Skiing In America for a good reason. Now let's be honest for a moment, not every ski vacation serves up snowy nights and bluebird days. Trips like that are never guaranteed when you're booking your ski vacation months in advance. But the odds are good that you'll get the goods in Big Sky. The ski season stretches from Thanksgiving to mid-April. That's roughly 140 days that Big Sky Resort is open each calendar year. With 400+ inches of snow, you're bound to get at least a few refreshes of snow every single week. As for predicting when the weather and snow are picture perfect, well that's impossibly hard. As we all know, the weather can be finicky. Tied to school holidays? Christmas, Presidents, or Spring Break. Enjoy peace and quiet? January. Keen to ski some of the bigger terrain? March. Want a deal? November, Early December, April. Want to book your trip around a specific event? Looking for longer days? March or April. Want warmer weather? March or April. Keen to ski more of the mountain? February to March. One of the great things about having the Biggest Skiing In America in our mountain town is that you can always find good snow regardless of the time of year or the weather. The terrain spans all aspects and with over 4000' of relief, there is always an abundance of excellent skiing. If you're not sure where to find it, stop by the mountain sports school and book a guide or instructor to help you find the goods. If we polled 1000 people, everyone would have a different answer to the common question of "when is the best time to ski in Big Sky?" There are so many factors to consider (day light, temperatures, snow coverage, open terrain, events, vacation time, school schedules, etc.). The final decision is up to you. Are you ready to choose your own adventure? Every day's a good day in Big Sky, Montana.